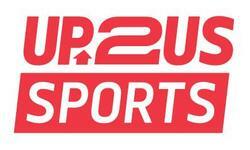 Up2Us Sports believes the root cause of the challenges facing our nation's youth, especially those living in underserved communities, is the absence of healthy relationships and role models who can inspire and guide them to make better decisions that lead to their lifelong success. Up2Us Sports works with community-based organizations that use sports to build meaningful relationships between caring adults and high-risk youth. Up2Us Sports does this through the Up2Us Coach program and evidence-based training in using sports as the most effective youth development tool. Through Up2Us Coach, the first national service program to challenge young adults to give back to their communities by committing to coaching and mentoring underserved youth, Up2Us Sports hires and trains coaches to serve in communities that lack positive adult role models. Up2Us Sports measures impact through evaluations on coach efficacy and behavioral change experienced by the youth served by Up2Us Coaches. The two primary focus areas of evaluation currently are the impact of trained coaches on obesity prevention and violence prevention in urban communities. In an external evaluation, youth served by Up2Us Coaches showed a statistically significant increase in physical fitness and in attributes like discipline, goal-setting, plan b thinking, positive identity, and social connections. Evaluations suggest that Up2Us Coach can yield up to a $13 return on investment for every dollar spent through savings in potential health care, youth incarceration, and school dropout costs.